Director/Screenplay/Producer – Earl E. Smith, Photography – John Roberson, Music – Jaime Mendoza-Nava, Special Effects – Joe Catalanatto, Makeup – Charles Roberson, Art Direction – Cheri Johnston. Production Company – Howco International/Fairwinds. At the end of the American Civil War, the dying Virgil Cane tells Southern Captain Wishbone Cutter about a cache of diamonds hidden in a cave along the Buffalo River and the route to get there. Returning home, Cutter finds his wife has left him for another man. He sets out with his Irish-Cherokee companion Half-Moon O’Brian and geologist Amos Richmond to find the diamonds. Along the journey, they meet a young woman Drusilla Wilcox, the only survivor of a massacre by Indians, and take her with them. As they head up into the mountain, Half-Moon realises that it is the Mountain of Demons, which is cursed by the spirit of Chikara who promised to kill all who ventured into its domain. The Western was once the most popular form of heroism on the big-screen. However, by the 1970s the Western had lost all the sense of the myth that it had once held. The uglier historical truths kept intruding – that cowboys were not heroes on a wild frontier but frequently brutal murderers who subjugated a native people. All that was left was an echo that filmmakers kept tossing about in left field experiments – brutally demythologised revisions The Wild Bunch (1969), Pat Garrett and Billy the Kid (1973); parodies – Blazing Saddles (1974); surreal Zen fantasies – El Topo (1970); ghost stories – High Plains Drifter (1973); science-fiction revisions – Westworld (1973); not to mention massive box-office flops – The White Buffalo (1977), Heaven’s Gate (1980). By the 1980s, the Western had almost entirely disappeared as a genre. Known under a reported seven different names, Shadow of Chikara is an intriguing effort amid the dying breed of Westerns. It comes with the hard-edged realism that Sam Peckinpah introduced. 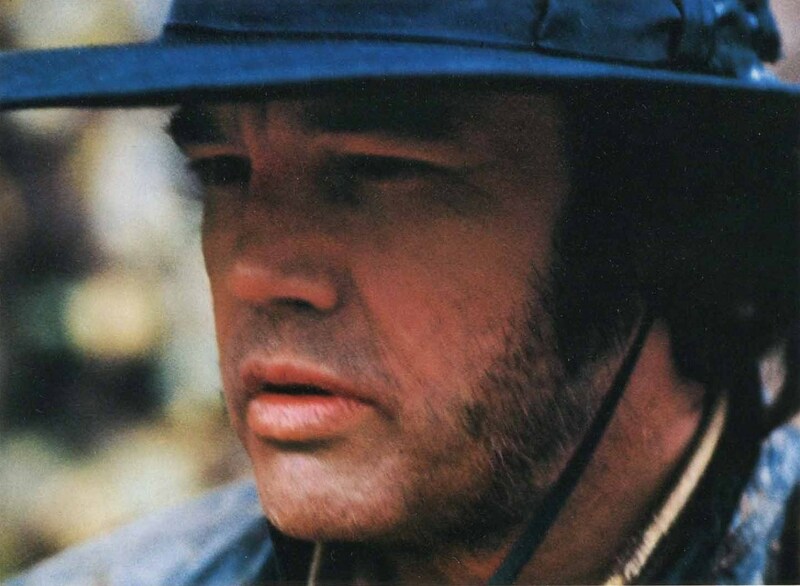 Notably there is the muchly underrated Joe Don Baker who carries the film with a harsh and cruelly domineering performance that also manages to be surprisingly sympathetic. Sondra Locke is typecast in another of her fearful and wide-eyed, innocent waif roles and her haunting looks succeed in carrying the role. The twist ending, which carries the film over into the fantastic, comes as a genuine surprise. Shadow of Chikara was made well before the American Humane Association became a policing body in filmed animal scenes and the horse scenes are not likely to win their seal of approval – in one amazing scene, several horses are sent tumbling down a 30+ foot slope.